Are you both a whiskey aficionado and dessert lover? If you prefer to be served with plates of sumptuous dessert meals every now and then, we are listing down three recipes that make use of whiskey. Fruit cake is a classic bread made with the flavors of your alcoholic beverages. Here’s more to this gastronomic collection with these best-tasting desserts infused with whiskey. This recipe is screaming classic rolled into one. 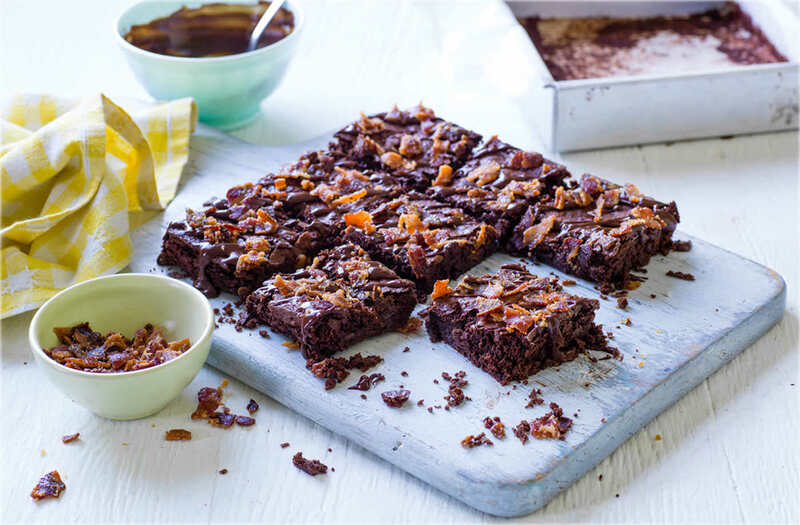 It combines the goodness of brownies as a favorite pastry and Irish whiskey made with single malt. Bring a bottle at home, and you can create some Irish Whiskey Brownies that you can share with your loved ones. Warning: not for the kids. 1. Tablespoon.com shares this recipe in few easy steps. First, prepare the oven to 350°F. Use a 13 by nine inch pan and spray it with cooking spray. Start to make brownie batter according to the instructions on the brownie mix. You may be instructed to mix together the eggs, oil, toffee bits and water. Once stirred, pour the mix into the pan and bake for around 50 minutes. Then, set aside on top of a cooling rack. 2. Melt the butter in a saucepan over medium heat. Start adding in the whiskey, salt, vanilla and cocoa and stir continuously. Slowly, beat powdered sugar using whisk. Cook this mix for around five minutes. 3. Using a kitchen knife, make holes with the brownies and pour the hot frosting over the warm bread. Be sure that you spread the frost on top until it is smoothened evenly. Let it cool for at least two hours before slicing. Serve and enjoy. Subscribe for free below to receive exclusive discounts and promotions. Click below! It is true that chocolates can be dull sometimes. Add some kick to your classic flavor with this Double Chocolate Whiskey Cake with Whiskey Ganache. It will sure pull you back for more. Thanks to Laughing Spatula for sharing the recipe. 1. Begin by preheating the oven to 350 degrees and spraying a non-stick spray over a nine by 13 inches baking pan. 2. Use a mixing bowl to combine the eggs, sour cream, sugar, vanilla, and vegetable oil until well-mixed. Once blended together, add in the whiskey, cocoa powder, and coffee. Be sure that there are no lumps forming. 3. Then, add in ½ cup chocolate chips and pour the mixture into the pan. Bake for around 40 minutes. You may use the toothpick technique as well where you know the cake is baked when the toothpick comes out clean. Once baked, let it cool down. 1. Pour chocolate chips in a microwave-ready bowl and use the microwave to soften the chips for just a minute in the timer. 3. Use the whisk to stir and notice how the chocolate will adapt with the cream’s consistency as well. Start adding in the whiskey and vanilla. Then, cool this mixture inside the fridge for 30 minutes or longer. Once thickness is consistent, spread this as a layer over the cake and sprinkle more chocolate. If you have leftover bourbon from the party last night and you do not plan drinking it, you may turn these into sumptuous dessert ball. 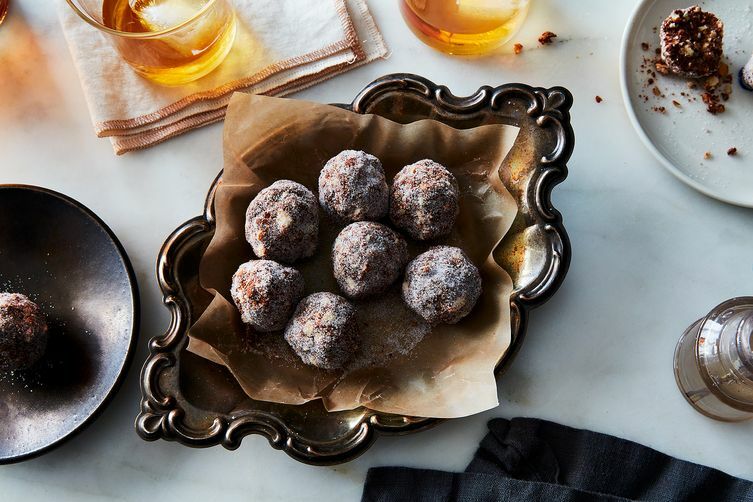 Here’s a recipe of Bourbon Balls perfect with afternoon tea or a glass of milk. Williams Sonoma shares this recipe. 1. Crush the vanilla wafers with rolling pin or you may use a food processor. Set aside. 2. Melt the chocolate in a bowl over a broiler set over simmering water. Remove once melted and add in the bourbon, brown sugar, corn syrup and salt with the chocolate blend. After a few minutes of stirring, add in the crushed vanilla wafers and half cup of the pecans. 3. The other half of the pecans will be spread on a plate. Then, prepare around one inch balls with the mixture and roll using your hands. Coat the balls with the pecans and lay over a waxed paper-protected pan. Place the balls into the fridge for 24 hours or overnight before serving. Make these desserts using the best whiskey brands handpicked just for you. 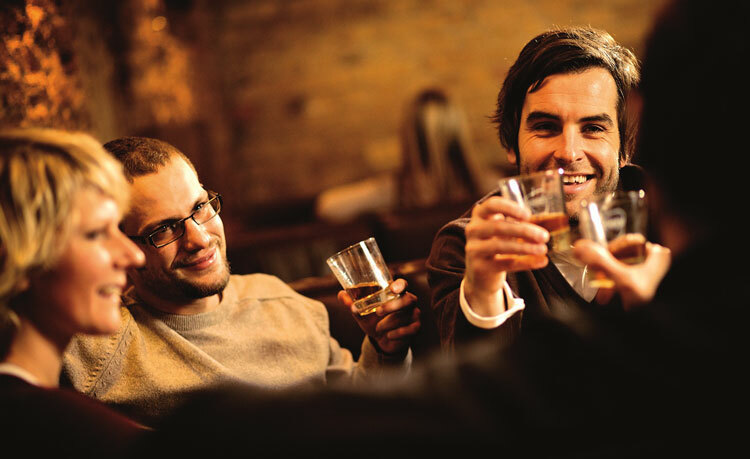 Participate in the upcoming Whiskey Tasting Festival happening in key cities in the United States in 2019. Social Scene has partnered with the most sought-after whiskey brands for this two-hour tasting event. To register and find out more about the event, visit www.besocialscene.com.